Fremont Family Practice, LLC (Seattle) - Book Appointment Online! 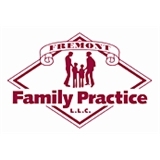 Our goal at Fremont Family Practice is to provide personalized, high-quality care. We value our relationship with each of you and strive to provide easy access to your physician with low wait times and same-day appointments when requested. We employ a holistic treatment approach and take time to listen and respond to your concerns. We offer telemedicine office visits for established patients, please inquire with our receptionist. Dr. Harvey saw me on short notice for a broken bone in my mid-foot. He was understanding, compassionate and explained well the problem and worked well with me for a solution. I appreciated his treatment of me as much as his treatment of the problem.